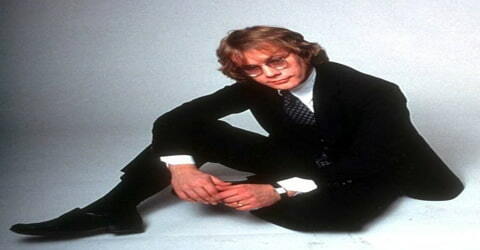 Warren Zevon – American rock singer-songwriter and musician. 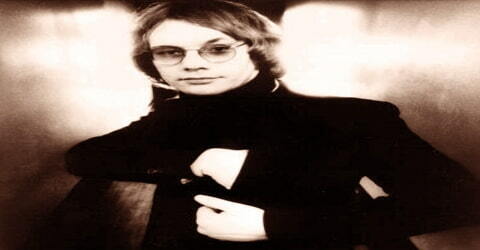 An American singer-songwriter whose poetic rock songs by turns hard-boiled, humorous, tough, and tender was acclaimed by critics and much admired by other songwriters, Warren Zevon was born on January 24, 1947, in Chicago, Illinois, the U.S. the son of Beverly Cope (née Simmons) and William Zevon. His unstable childhood as the son of a gangster affected him a lot in his later life. He was known for the dark and somewhat bizarre sense of humor in his lyrics and added a mature but cynical edge to the era of New-Wave music. Zevon’s most famous compositions include “Werewolves of London”, “Lawyers, Guns and Money”, “Roland the Headless Thompson Gunner” and “Johnny Strikes Up the Band”, all of which are featured on his third album, Excitable Boy (1978), whose title track is also well-known. He also wrote major hits that were recorded by other artists, including “Poor Poor Pitiful Me”, “Accidentally Like a Martyr”, “Mohammed’s Radio”, “Carmelita”, and “Hasten Down the Wind”. Along with his own work, he recorded or performed occasional covers, including Allen Toussaint’s “A Certain Girl”, Bob Dylan’s “Knockin’ on Heaven’s Door”, Leonard Cohen’s “First We Take Manhattan”, Steve Winwood’s “Back in the High Life Again”, and Prince’s “Raspberry Beret”. His bestselling album ‘Excitable Boy’ reached Billboard’s Top Ten and produced the hit single ‘Werewolves of London’. 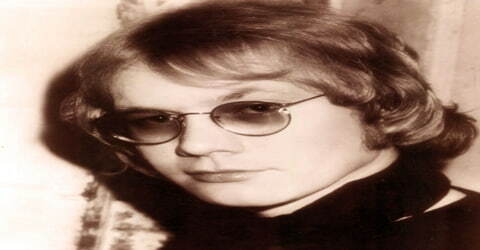 Zevon was friends with many of California’s milder rockers; among them Fleetwood Mac, Jackson Browne, and The Eagles. He spent a few years working as a pianist for the Everly Brothers. In his self-titled second album ‘Warren Zevon’, he penned singles such as ‘Poor, Poor Pitiful Me’ and, ‘I’ll Sleep When I’m Dead’. Two other superlative albums,’Bad Luck Streak In Dancing School’ and ‘The Envoy’ was critically acclaimed but had dismal sales. 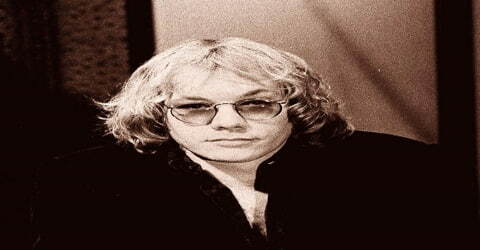 A singer and songwriter whose music often dealt with outlaws, mercenaries, sociopaths, and villains of all stripes, Zevon’s lyrics displayed a keen and ready wit despite their often uncomfortable narrative circumstances, and while he could write of love and gentler emotions, he did so with the firm conviction that such stories rarely end happily. Though he frequently worked with luminaries of the Los Angeles soft rock scene, Zevon was always the odd man out, someone who shared their exacting musical standards but not their smugly satisfied view of the world around them, and he remained a cheerful pessimist right up to the moment he met a fate that could have visited one of his own characters. Initially successful as a bandleader, Zevon struggled to have a solo career until his music was performed by Linda Ronstadt. This launched a cult following that lasted for 25 years with Zevon making occasional returns to the album and single charts until his death from cancer in 2003. He briefly found a new audience in the 1980s by teaming up with members of R.E.M. in the blues-rock outfit Hindu Love Gods. Known for his dry wit and acerbic lyrics, he was a guest several times on Late Night with David Letterman and the Late Show with David Letterman. Zevon’s work has often been praised by well-known musicians, including Jackson Browne, Bruce Springsteen, Bob Dylan, and Neil Young. Warren Zevon, by name of Warren William Zevon, was born on January 24, 1947, in Chicago, Illinois, to Beverly Cope and William Zevon, a Jewish immigrant from Russia. William was a bookie who handled bets and dice games for notorious Los Angeles mobster Mickey Cohen. By the age of 13, Zevon was an occasional visitor to the home of Igor Stravinsky, where he briefly studied modern classical music alongside Robert Craft. Zevon’s parents divorced when he was 16 years old; he soon quit high school and moved from Los Angeles to New York City to become a folk singer. Warren Zevon was in a long term relationship with Marilyn “Tule” Livingston, the mother of his son Jordan. He married and divorced Crystal Ann Brelsford and had a daughter Ariel with her. Zevon was a chronic alcoholic and drugs abuser. He checked himself into an unnamed rehab clinic somewhere in Minnesota and retreated from the music business for several years and he finally overcame the problems. Warren Zevon turned to a musical career early, including a stretch with his high school friend Violet Santangelo as a musical duo called Lyme and Cybelle. He spent time as a session musician and jingle composer. He wrote several songs for his White Whale labelmates the Turtles (“Like the Seasons” and “Outside Chance”), though his participation in their recording is unknown. Another early composition (“She Quit Me”) was included in the soundtrack for the film Midnight Cowboy (1969); to suit its place in the film, the song was re-recorded by Leslie Miller as “He Quit Me”. Zevon’s first attempt at a solo album, Wanted Dead or Alive (1969), was produced by 1960s cult figure Kim Fowley but did not sell well. Flashes of Zevon’s later preoccupations with romantic loss and noir violence are present in songs like “Tule’s Blues” and “A Bullet for Ramona”. In 1969, noted producer, talent scout, and eccentric Kim Fowley, impressed by Zevon’s songwriting, offered to produce an album for him; as Zevon once told a reporter, “Fowley called me up one day and asked very simply, ‘Are you prepared to wear black leather and chains, a lot of teenage girls and get rich?’ I said yes.” For good or ill, the virtue of the young women in question remained unchanged, as did Zevon’s bank account; the album, Wanted Dead or Alive, was a critical and commercial flop. During the early 1970s, Zevon toured with the Everly Brothers as keyboard player and musical coordinator. Later, he toured and recorded with Don Everly and Phil Everly, as they tried to launch solo careers. After the failure of his first album, Zevon joined the Everly Brothers’ touring band as pianist, and following the duo’s acrimonious split in 1973, he would work with both Don and Phil as solo artists. However, an attempt to complete a second album failed to get off the ground, and in frustration, Zevon left the United States for Spain, where he spent a summer playing in a small tavern and writing songs. He played in The Dubliner Bar, a small tavern in Sitges near Barcelona, which was owned by David Lindell. Together they composed ‘Roland the Headless Thompson Gunner’. By September 1975, Zevon had returned to Los Angeles, where he roomed with Stevie Nicks and Lindsey Buckingham, who had by now gained fame as members of Fleetwood Mac. There he collaborated with Jackson Browne, who produced and promoted Zevon’s self-titled major-label debut in 1976. Contributors to this album included Nicks, Buckingham, Mick Fleetwood, John McVie, members of the Eagles, Carl Wilson, Linda Ronstadt, and Bonnie Raitt. Ronstadt elected to record many of his songs, including “Hasten Down the Wind”, “Carmelita”, “Poor Poor Pitiful Me”, and “Mohammed’s Radio”. Zevon’s first tour, in 1977, included guest appearances in the middle of Jackson Browne concerts, one of which is documented on a widely circulated bootleg recording of a Dutch radio program under the title The Offender Meets the Pretender. The critic Dave Marsh, in The Rolling Stone Record Guide (1979), called Zevon “one of the toughest rockers ever to come out of Southern California”. Rolling Stone record reviews editor Paul Nelson called the album one of the most significant releases of the 1970s and placed him alongside Neil Young, Jackson Browne, and Bruce Springsteen as the four most important new artists to emerge in the decade. On May 11, 1980, Zevon and Willie Nile appeared on the King Biscuit Flower Hour. ’Bad Luck Streak in Dancing School’, his 1980 album was dedicated to detective novelist Ken Millar, who helped him temporarily curtail his addictions. Its modestly hit singles included ‘A Certain Girl’ and ‘Empty-Handed Heart’. Zevon’s 1982 release ‘The Envoy’ was a revival of standards but was not a commercial success. The title track was inspired by American diplomat Philip Habib’s shuttle diplomacy during Israel’s Lebanon incursion. By 1984, Zevon was back on the wagon and eager to prove himself again. Looking to explore the new musical territory, he reached out to Peter Buck, Mike Mills, and Bill Berry of R.E.M., who were college radio heroes but a few years away from mainstream success. With three-quarters of R.E.M. as his rhythm section, the quartet cut a single under the name Hindu Love Gods, and a couple years later, they hit the studio to record Zevon’s 1987 album ‘Sentimental Hygiene’. The album, which also featured guest spots from Bob Dylan, Neil Young, and George Clinton, earned Zevon a new deal with Virgin Records and won enthusiastic reviews from critics. (A set of covers Zevon recorded with Buck, Mills, and Berry would later be released under the title Hindu Love Gods.) Zevon’s second effort for Virgin, 1989’s Transverse City, was an ambitious concept album about a world in collapse, but despite the presence of several high-profile guests (including Jerry Garcia and David Gilmour), the album was a commercial failure, and Zevon was once again without a label. 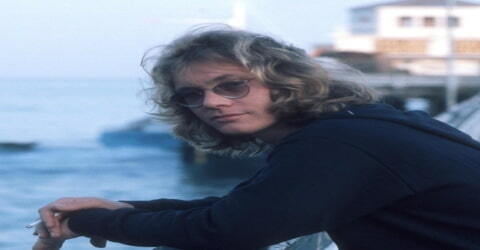 Zevon’s subsequent recordings included The Envoy (1982), Sentimental Hygiene (1987), and Life’ll Kill Ya (2000). Although his commercial success was ultimately limited, he enjoyed a cult following; among his fans was TV talk-show host David Letterman, on whose programs he frequently performed. Zevon survived inoperable lung cancer long enough to complete a final album, The Wind (2003). It earned the Grammy Award for a best contemporary folk album, and the single “Disorder in the House,” a duet with Bruce Springsteen, also won a Grammy. In 1991, Zevon, once again a solo artist, released Mr. Bad Example. This album featured the modest pop hit “Searching for a Heart” and the rocker “Things to Do in Denver When You’re Dead”, later used as the title of the neo-noir film of the same name, directed by Gary Fleder; after some skirmishing over the unauthorized use of Zevon’s song title, the Zevon track was licensed to play over the film’s end credits. Zevon also sang lead vocals on the song “Casey Jones” from the Grateful Dead tribute album Deadicated, although the cut is credited to his regular collaborator David Lindley. Zevon toured the United States (with the Odds), Europe, Australia, and New Zealand during this period. Owing to his reduced circumstances, his performances were often true solo efforts with minimal accompaniment on piano and guitar; the live album Learning to Flinch (1993) documents such a tour. Zevon often played in Colorado to allow for an opportunity to visit with his longtime friend Hunter S. Thompson. In 1995, his self-produced album ‘Mutineer’ covered cult artist Judee Sill’s ‘Jesus Was a Crossmaker’, but the album, however, suffered the worst sales of his career. In 2000, Artemis Records released the reasonably successful, morality themed album ‘Life’ll Kill Ya’, containing the hymn-like, ‘Don’t Let Us Get Sick’, and an austere version of ‘Back in the High Life Again’. His ‘My Ride’s Here’ in 2002 included, ‘Hit Somebody!’ and the ballad ‘Genius’, a song whose string section illustrates the lasting influence of Stravinsky on his work. In October 2002, he was featured on ‘The Late Show with David Letterman’ as the only guest for the entire hour. He performed several songs and spoke at length about his illness. On October 30, Zevon appeared as the sole guest on David Letterman’s show, playing his songs, discussing his life and his health, and advising viewers to “Enjoy every sandwich.” Against the odds, Zevon lived long enough to see the release of his final album, ‘The Wind’, on August 26, 2003, as well as the birth of his twin grandsons. The album reached number 12 on the US charts. Certified gold by the RIAA, Zevon received five posthumous Grammy nominations for it. His album ‘The Wind’ was awarded the Grammy Award for Best Contemporary Folk Album. Disorder in the House, performed by Zevon and Bruce Springsteen, won the Best Rock Vocal Performance (Group or Duo). 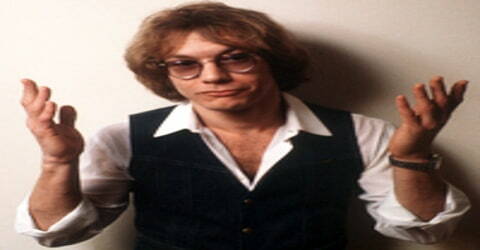 Warren Zevon died on September 7, 2003, aged 56, at his home in Los Angeles, of inoperable peritoneal mesothelioma (cancer of the abdominal lining that is associated with exposure to asbestos). He refused treatments for he believed that might incapacitate him. His body was cremated, and his ashes were scattered into the Pacific Ocean near Los Angeles. Warren Zevon collaborated with Jackson Browne, who in 1976 produced and promoted Zevon’s self-titled major-label debut. Termed a masterpiece by the Rolling Stone Record Guide, it had Contributions from many big names in the industry. ‘Excitable Boy’, his third album in 1978 became the best-selling album of his career and had tracks such as, ‘Excitable Boy and Werewolves of London’, considered macabrely humorous by some critics. A tribute album titled Enjoy Every Sandwich: The Songs of Warren Zevon was released October 19, 2004. 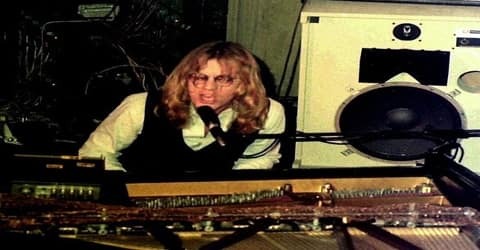 Zevon’s son, Jordan Zevon, was the executive producer of the album and performed “Studebaker”, a previously unfinished composition by his father. A second tribute album, Hurry Home Early: The Songs of Warren Zevon (“hurry home early” is from the song “Boom Boom Mancini”, on the album Sentimental Hygiene) was released by Wampus Multimedia on July 8, 2005.